Algae and corals have been leaning on each other since dinosaurs roamed the earth, much longer than had been previously thought, according to new research led by scientists at Oregon State University and Penn State. The findings, published today in Current Biology, are a key advance toward a better understanding of coral reefs, the Earth's largest and most significant structures of biological origin. Reefs are found in less than 1 percent of the ocean but are home to nearly one-quarter of all known marine species. They also help regulate the sea's carbon dioxide levels and are a crucial hunting ground that scientists use in the search for new medicines. 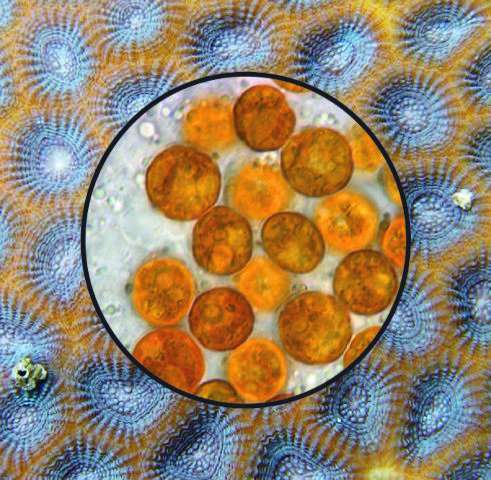 Corals are made up of interconnected animal hosts called polyps that house microscopic algae, commonly known as zooxanthellae, inside their cells. The coral-algal symbiosis, or partnership, is the foundation of the entire coral reef ecosystem; the polyps receive food from the algae, and the polyps in turn provide nutrients and protection to the algae. That symbiosis goes back roughly 160 million years—about 100 million years longer than scientists had thought—according to an international research collaboration headed by John Parkinson of Oregon State and Todd LaJeunesse of Penn State. It's also more diverse than had been assumed. "Presently, numerous algal lineages called 'clades' are lumped into just one genus," said Parkinson, a postdoctoral scholar in OSU's College of Science. "We provide evidence that the family actually consists of at least 15 genera that include hundreds and possibly thousands of species worldwide." The distinctions are important, he said, because some symbionts are more resilient than others to changes in the environment. 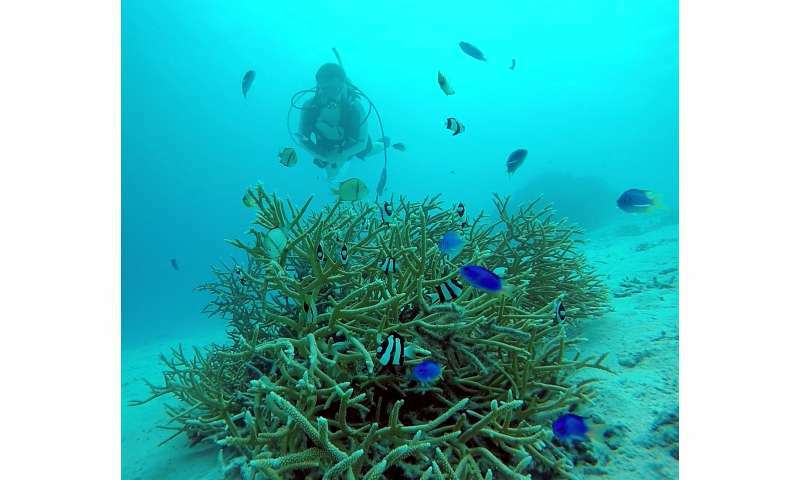 Many corals bleach, or lose their algae, when exposed to higher than usual ocean temperatures. But others are far more tolerant of heat, and some of that resilience depends on the algal species. In general corals are bleaching about 4.5 times as frequently as they did in 1980, with severe bleaching events now occurring about every six years instead of every 25 or 30 years. "The updated naming scheme we came up with offers a clear framework to identify different symbionts," he said. "Accurate taxonomy is a critical step in any biological research and is especially true for studies attempting to understand how reef corals and their micro-algae may adapt to climate change." LaJeunesse, Parkinson and several other researchers used genetic sequencing and other techniques to recalibrate the algae's molecular clock. 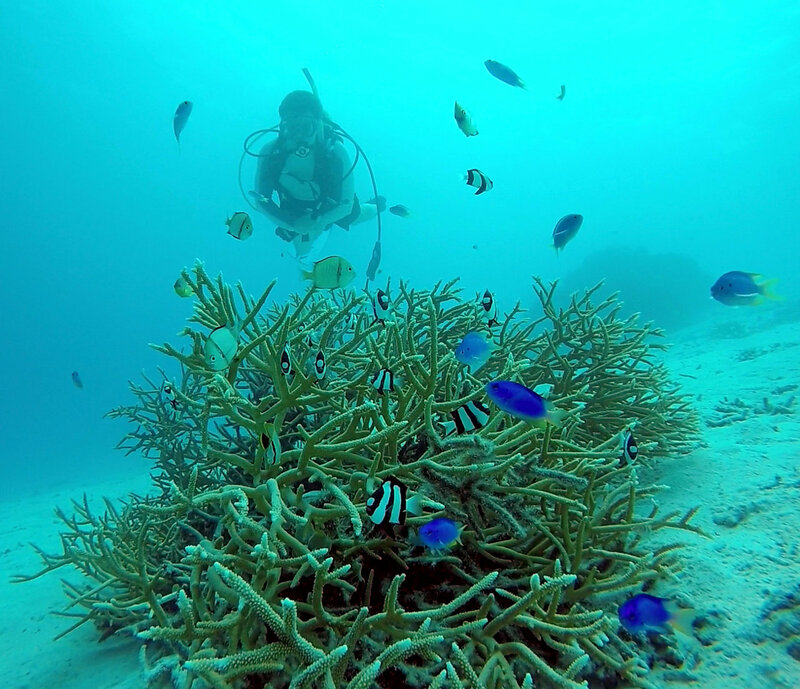 Parkinson noted the team has been working for close to a decade to modernize coral symbiont systematics and taxonomy—the identification and naming of species—to improve communication among scientists and facilitate further study. "Until now, much research on these algae attempted to compare apples to apples, but we now know that often we are comparing apples to oranges considering how divergent some of these species are," he said. "Our work will help researchers to think more objectively about the comparisons they are making in experiments."